Keep your data safe and available at all times. Simpatico Systems, LLC. makes technology simple so you can focus on building a successful business. No two businesses are identical, so we offer solutions to suit your organization’s demands. Simpatico Systems FileStash Basic Backup provides a simple but powerful solution for data storage and security. 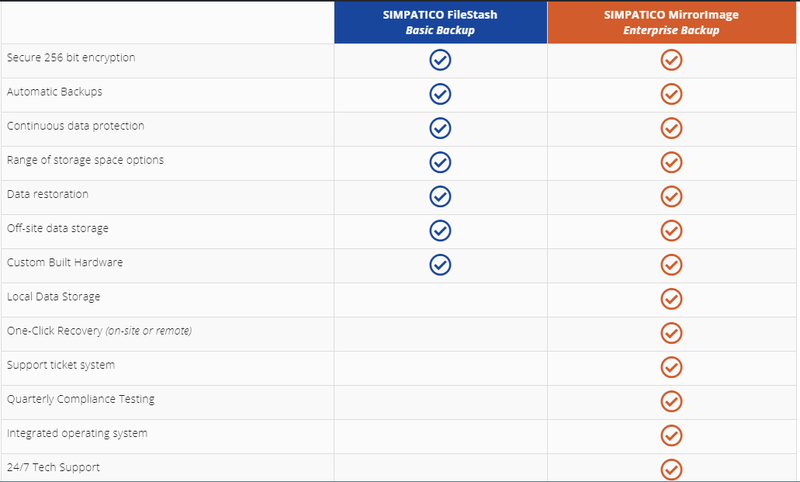 If you need a more robust system delivering a two-tiered data backup approach and support, Simpatico Systems MirrorImage Enterprise Backup is an economical solution with infallible reliability. Contact us to discuss which solution is best for your business data. Simpatico Systems offers two feature-rich backup solutions for every business.